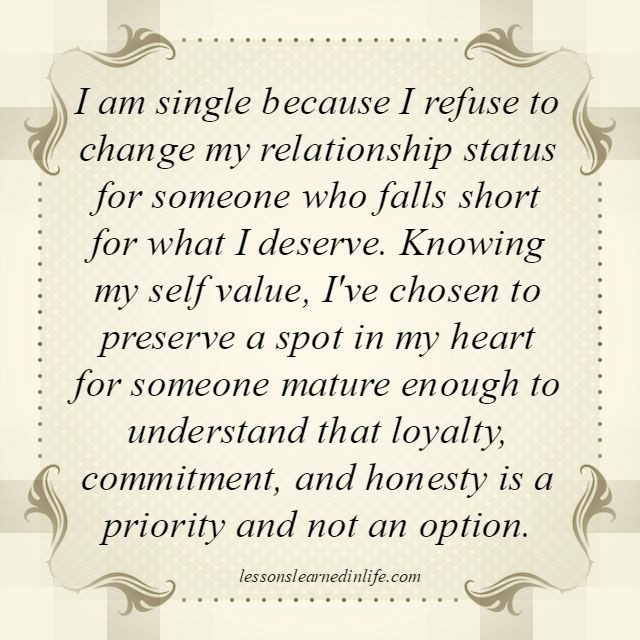 I am single because I refuse to change my relationship status for someone who falls short for what I deserve. Knowing my self value, I’ve chosen to preserve a spot in my heart for someone mature enough to understand that loyalty, commitment, and honesty is a priority and not an option. Heal the wounds of your past. 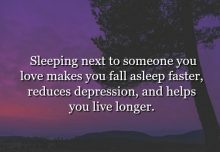 Sleeping next to someone you love. Need to learn to choose accordingly than travelling unwanted paths. 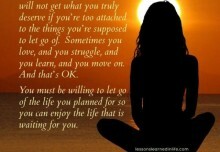 So must learn to also let others go who are not willing to be mature enough to fill that spot of the heart. Need to give them freedom, completely no trace of them left behind in your heart. 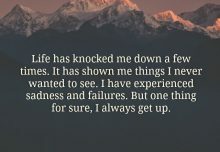 I may be single but I have to refuse to fall in love without standing on my own two feet.I had been in love before and when I had been dumped….I felt clobbered. I would tell all the single ladies out there what my mother passed onto me. If I ever get married …” Do it for all the right reason and know he is the one you can handle for the rest of your life. ” Well, I found something else what my mother told me ” Don’t use marriage as an excuse from the problems you have. You are bringing the problems in the marriage. I actually have seen this from some of my friends who got married. I still hope for that dream for myself as well as for all the other single women who still has that dream and still be okay. Single or married, I pray that God will give me strength to go on in this life. My mother taught me do what is right always, not to lie even if life threatening, because truth fights hard but only wins. She dint know that in this world truth only fails…People are so unethical that they Make fake promises to get you and false promises again to get rid of you. Some bargain on your emotions, and dont mind forcing you to pair another man, a contentment they get on winning a game. A pat on the back. I like this,and Lisa’s statement. Thanks.